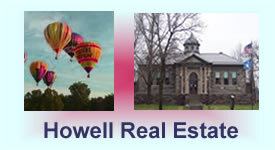 Our site is made available through the efforts of members of the Howell Area Board of REALTORS. Search for all MLS listings in Howell, Ypsilanti, Saline, Dexter, Manchester, and all of Livingston County. Please ask us any questions you may have at sign up. Once you sign up we will provide you with a free access password so you can come back and search for Livingston County and Howell Real Estate at your leisure.